The Recycling Event takes place on 2 July 2019 at the Ricoh Arena. 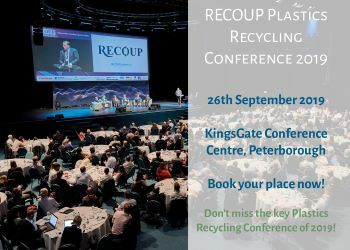 The Recycling Event is fast approaching, and with under three months to go, and over 100 delegates already attending, we’ve got some exciting new speakers and participants to announce. Suez external affairs director Adam Read will be chairing all morning sessions in The Delivery Theatre. Adam has been in this sector for over 20 years and is responsible for government engagement and corporate strategy. The majority of his time last year focused on the development of the DEFRA Resources & Waste Strategy and associated revolution in extended producer responsibility, culminating in the production of Suez’s resources & waste manifesto. We are also glad to announce that Welsh Government Head of Circular Economy Policy Development David Warren will be discussing: How the circular economy is already providing economic benefit to Wales. This will take place in the Environment: For Love or Money Theatre at 12:30pm-13:00pm. Currently, he is working on a number of important issues from plastics to food waste and packaging reform to reuse but all focused on Wales transition to a more circular economy. Another new addition to the event is K2TC Advisory director Mike Read, who will be discussing: Is recycling still seen as the most sustainable option? In the Environment: For Love or Money Theatre at 9:30-10:30am. Mike specialises in providing financial advice and fundraising on PPP in this sector to procuring authorities, contractors and funders, as well as providing advice on alternative delivery models to Government and other private bodies. Previously he worked for Grant Thornton’s Government and Infrastructure Advisory Business, where he led their Energy & Environment business. OPRL chair Jane Bevis can no longer do her presentation due to conflicting schedules. However, OPRL director Phillip Ward has been able to take her place at the event. Phillip has 30 years’ experience in Government and seven years as WRAP Director. During his time at WRAP he was involved in the introduction on separate food waste collections by local authorities and inception on the Courtland Agreement. He recently stood down as Chair of Resource Futures but remains a Director of OPRL and also now chairs the RSA’s Sustainability Network. He will be discussing: Fewer materials, better performance on packaging labels in The Delivery Theatre at 12-13pm. Carbon Smart Ben Murray will be taking part in the panel discussion: Sustainability Top Trumps: What are the most sustainable packaging options? In the Delivery Theatre at 11:15am-12:15pm. Ben has over 20 years’ experience of business efficiency and sustainability consulting. His client work has included supply chain assessment for clients such as: Stora Enso, Tereos, Wagon, Deloitte, RBS, the Commonwealth Secretariat and Central UK government departments. The Recycling Event is the brand-new conference for the recycling supply chain and is in partnership with nine trade associations.